When well thought out, a carport can protect your car from the daily ravages of the baking sun, hailstorms, and even unpleasant gifts from our feathered friends. With protection from the elements, your car will need less cleaning, giving you more weekend free time with the kids. But with the right amount of thought and planning, it can also enhance the look of your home. This means it can be an investment not just for the life of your car, but for your home as well. Buying a carport is a big commitment and you’ll want to get it right. 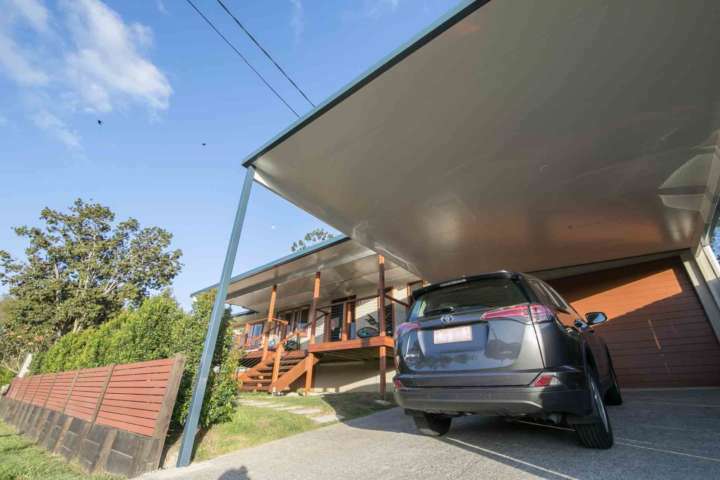 At Australian Outdoor Living, we know a thing or two about carports so we have put together some pointers and things to consider when buying your carport. A carport installation can have just the same impact on the look and feel of a house as any other home improvement. For this reason, it deserves the same amount of consideration in the planning phase. Since this is something that will be long lasting, you’ll want to be sure you’ve got it right. Find a company that can give you a design on paper, or better yet a computer generated image, so you have the best idea of what the final product will look like before you commit. Every house is unique and you’ll want to make sure you reflect its character in your new carport. Do you have a heritage house with distinct features? Try to duplicate those features in your carport. Preserving the look of your house by blending the design with the original architecture can add real value to your property. Taking your time to pick the right materials for the job will be worth your while in the end. You may like to seek a design consultant for their advice. Look through pictures of previous installations and timber and colour samples to find the materials that best complement the existing features of your home. Be clear on what you do and don’t like. Building a carport – from designing through to completion – can be a daunting affair if you don’t know what to expect. Find out how long the construction will take so you can plan around it. Make sure you understand the final costs before you commit. Check whether your it comes with comprehensive guarantees to ensure good quality. This will offer you peace of mind so that if anything goes awry, it can be fixed with minimal fuss. The right carport can truly enhance the features of your home, as well as provide the best shelter for your car. To help you make an informed choice we have produced a buyer’s guide of our own. We hope it helps to make the buying process a little easier. Download it by linking on the link below. We like feedback so let us know what you think of the guide and give us any suggestions for additional information to add.